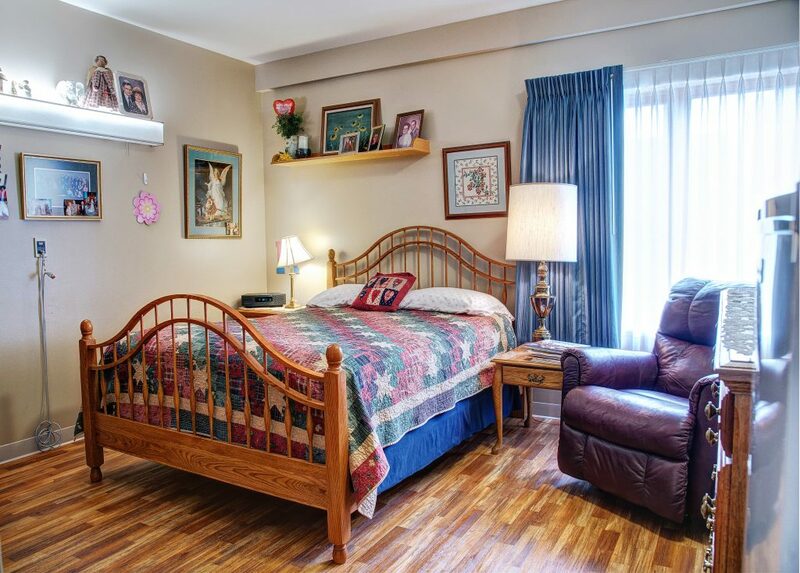 Bethany Home’s Memory Care Unit consists of twelve (12) private rooms with lavatory, a dining/activity room, and a lounge area and patio. Specially trained staff members provide care and services persons with dementia require in a low-stimulus environment, providing a calm and quiet atmosphere. Constant staff interaction specific to each resident’s interests as well as individually guided exercise programs keep each person active according to his or her own potential. The Nursing Staff maintains regular checks for each person’s safety. Meals are delivered by steam table with personal service at the table and staff involvement to the extent needed. A whirlpool tub and/or shower are available to accommodate each person’s bathing preference. Personal decorations and furniture is encouraged to create each individual’s home.